PURTON INSTITUTE AND VILLAGE HALL IS NOW REGISTERED TO A LIVE DONATION SCHEME WHICH ALLOWS YOU TO SHOP AND DONATE. 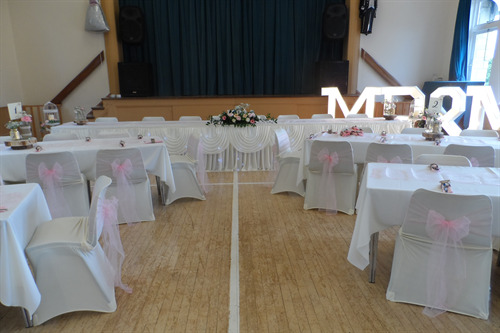 The Village Hall is a registered charity and relies on hall hire and donations to enhance/maintain and support this valuable community service. Click the link below to know more. 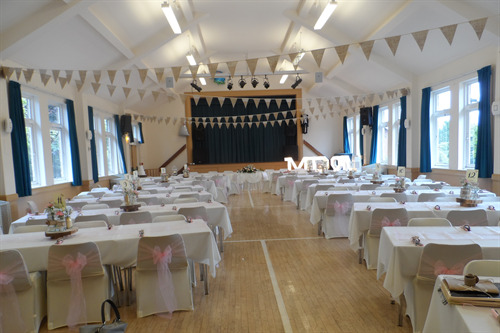 Purton Village Hall is available for hire at competitive rates for community and commercial functions, children's parties, toddler groups, table top and jumble sales, meetings , discos, dances and weddings. 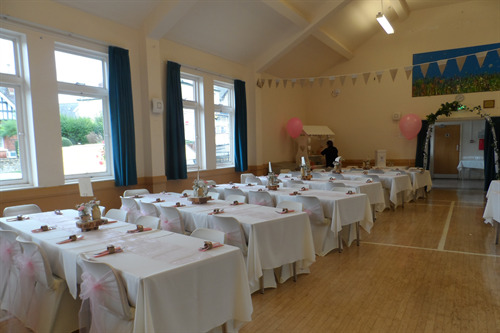 The hall, which has a polished wooden floor, is 30ft by 60ft long (9M x 18M) and can accommodate up to 240 people sitting, 225 dancing, 160 with tables and chairs in use, 145 dancing with table and chairs in use. There is a full stage at the far end of the hall which can cater for most amateur dramatics and plays, concerts, bands and discos. The hall has a reasonable size kitchen 16ft by 10 with serving hatch into the main Hall. There is disabled access to the hall, automatic door for wheel chair users and disabled toilet. The hall has off street parking to the front and rear of the hall which is adequate for most functions. Matt Carruthers will be happy to run the bar for you, he can be contacted on 01793 770316. Email lesley.miles@purtonparishcouncil.gov.uk to hire The Village Hall. We now have free WiFi use for all hirers. Excellent connection and great service. 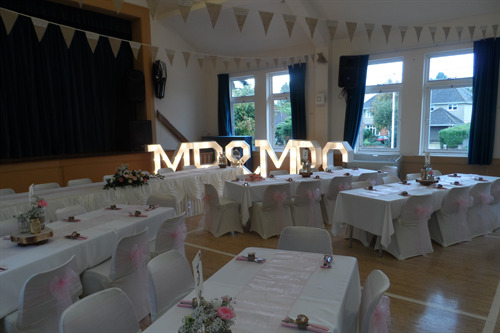 The village Hall is located in the centre of Purton mid way between the market towns of Cricklade and Wootton Bassett at the junction of the High Street and Station Road. The number 53 bus stops outside the village hall. Purton Parish Council is the trustee of the Purton Institute and Village Hall, registered charity number 203202.